Anthony Joshua’s fight with Kubrat Pulev has been called off, after the Bulgarian suffered an injury in training. Joshua will now take on Carlos Takam instead. 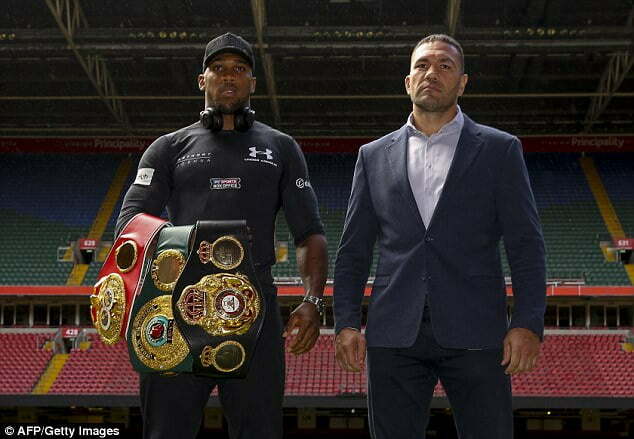 Pulev was due to challenge for Joshua’s IBF and WBA heavyweight world titles on October 28 at Cardiff’s Principality Stadium, but a damaged shoulder has seen the bout cancelled. Frenchman Takam, who is ranked No 3 by the IBF, on Monday night finalised a deal to step in at late notice. The 36-year-old has lost three of his 39 fights. “I received a call late afternoon to inform me that Pulev had injured his shoulder and maybe ruled out of the fight – this was later confirmed by his doctor. IBF rules state that the mandatory will go to the next fighter in line which is Carlos Takam. “When the Pulev fight was announced I made a deal with Takam’s team to begin camp and be on standby for this fight. When I called them this evening they were overjoyed and good to go. “It’s a difficult position for AJ having prepared meticulously for the style and height of Pulev, he now faces a completely different style and challenge in Takam – this hasn’t happened in his career before but he is ready for all comers on October 28,” Joshua’s promoter, Eddie Hearn, said.